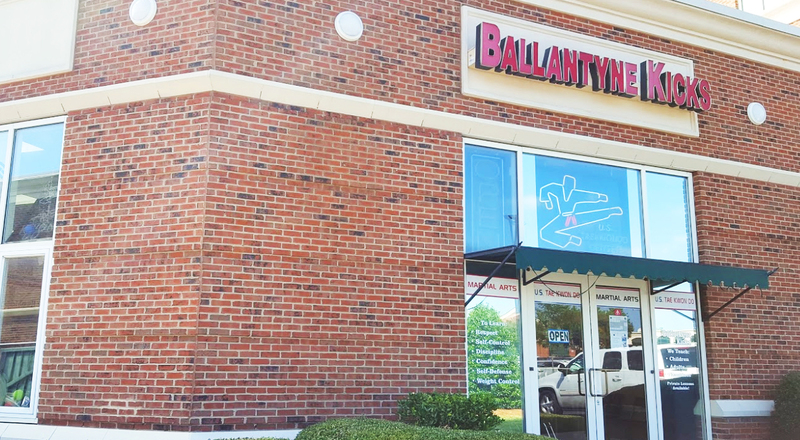 Ballantyne Kicks, U.S. Taekwondo Center is located in the Ballantyne area of Charlotte, NC also known as South Charlotte. Ballantyne Kicks offers group classes as well as private lessons. We focus on building self-confidence through self-defense. From teaching Poomsae to Sparring, Ballantyne Kicks is guaranteed to help teach children the discipline they need and give Adults a good sweat! Our classes range from all ages as young as 3 years old to 60 years old! We are open 6 days a week, Monday through Saturday and offer private lessons upon request. We believe that self control and discipline, kindness and humility must go hand in hand with physical grace. That is why Ballantyne Kicks is the perfect choice for you and your family. Stop in or call us today for more information on how to get started!